Eleven thousand years ago, North America was inhabited by a small human population known as Paleo-Indians. As far as we know, these people were the first to live in Ontario. Paleo-Indian groups probably followed migrating Caribou from the south into the area. 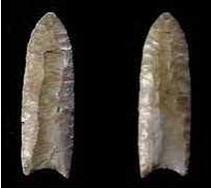 The most distinctive of their tools was the “fluted point”: a large spear-point usually made from some suitable local stone such as chert (similar to flint). Unfortunately, many of the archaeological sites from the Paleo-Indian period have been destroyed by fluctuating water levels in the Great Lakes, so that very little is known about these people and how they lived. It is assumed that they travelled in family groups, following wandering herds of caribou. Although they are sometimes referred to as “big game hunters”, a large portion of their diet likely consisted of small mammals, fish and plant life. Throughout this period, the temperature gradually became warmer until around 7000 years ago, when the climate was probably quite similar to that of the present day. As the environment changed, the caribou hunters had to change their way of life and adapt to new conditions. The average temperature continued to rise until the “thermal maximum” was reached around 5000 years ago, when the mean annual temperature was 2-3°C warmer than today. The winters would have been relatively short and mild, and certain plant species that are now found only much further south would have thrived in south-central Ontario. It is believed the Archaic population was probably directly descended from the previous Palaeo people, although there is some evidence to suggest that new groups also migrated into Ontario. Early Archaic campsites, defined primarily by the presence of newly-styled side-notched and corner-notched projectile points, are sometimes found in association with late Palaeo sites, suggesting a time of gradual development rather than sudden change. About 6000 years ago, however, the ground stone industry was invented which meant that beautifully polished stone tools and decorative items were manufactured. Trade had become an important method of obtaining goods, and items such as stone axes, adzes, chisels and gouges suggest that woodworking would have been a major industry. The atlatl, a device for increasing the thrust of a spear appeared at this time. It is also at this time that the presence of dog burials suggests that the dog had assumed the place of “man’s best friend” and hunting companion. The Archaic lifestyle was based on a gathering and hunting economy. During the winter months, small family groups camped in their hunting territories spaced far enough apart that they would not impact another family groups ability to find game. In the spring, these scattered families would convene in a large camp to fish, and during the summer and fall, groups of varying sizes would travel to other chosen locations for berries and other foods and supplies. The locations would be chosen carefully in order to ensure the most efficient and effective use of resources. This hunting and gathering strategy was the basic way of life in many parts of Ontario. The pattern continued for various aboriginal groups with little change until recent historic times. 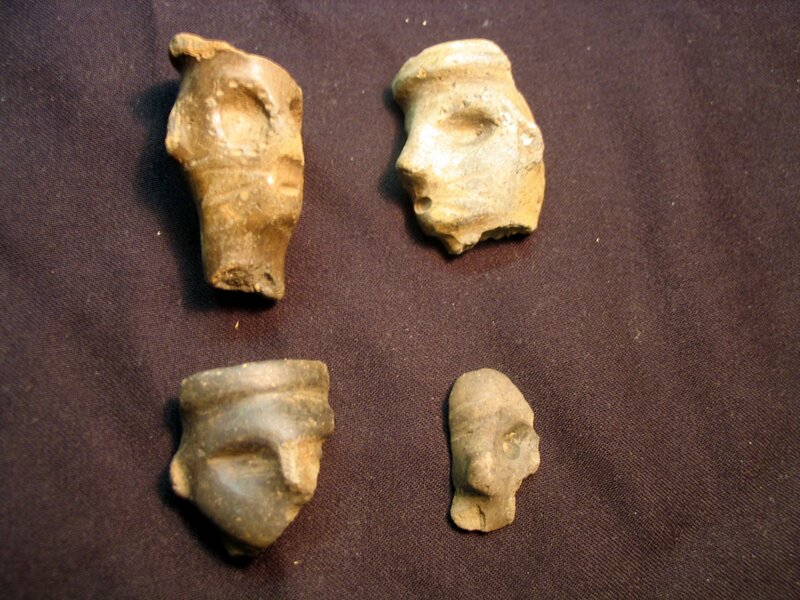 As we move through history, artefacts are better preserved and we are able to gather more information on what these various cultures were doing. In the case of the Wendat, with European contact, came written documentation. Part of the Pre-Wendat period includes the Initial and Late Woodland periods which ushered in the innovations of ceramics and horticulture. By as early as 1100 AD, corn was being sown in the fields of south-central Ontario to supplement food obtained by gathering and hunting while beans, squash, sunflowers, and tobacco were likewise adapted for cultivation. As the population rapidly increased, dwellings evolved into the longhouse design. 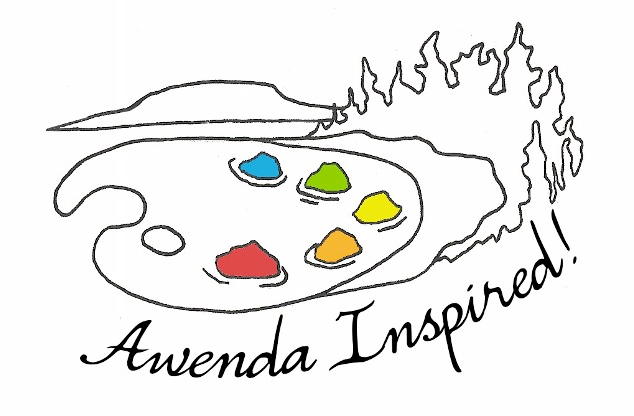 By the start of the 1600s, a people known as the Wendat (later called Huron by the French) had built a thriving society within Simcoe County, including the area we now call Awenda. By this time the Wendat (meaning “island dwellers”) had organized themselves into a Confederacy or League of four separate tribes of Iroquoian speaking peoples identified as: the Bear, the Cord, the Rock, and the Deer. The population of Wendake was an estimated 21,000 individuals. They lived in villages of up to 1400 with the majority of villages numbering around 800 or less. For the Huron, a nearby supply of firewood was critical to the village’s survival. It was the role of the woman to gather enough deadfall to last through the winter months. Wood was so highly prized among the Huron that each woman in the village would present a newly married girl with a gift of wooden bundles that would see her through the winter. 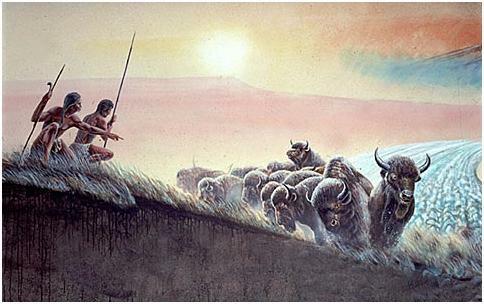 The Huron employed a form of ‘slash and burn’ agriculture. Standard practice for felling large trees involved girdling the trunk, stripping the branches and burning them at the base to kill the tree. Crops were planted in large mounds around the stumps, which were removed after they rotted. Without any active fertilization, fields lost their fertility within ten or fifteen years and were therefore abandoned. As a result, the Huron moved their settlements in search of more arable land nearby. In fact, the men of the village would begin clearing a field years before the land was to be settled. 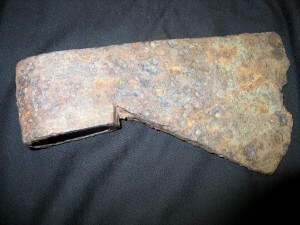 The acquisition of iron trade axes from French traders would end the traditional Huron method of tree removal. 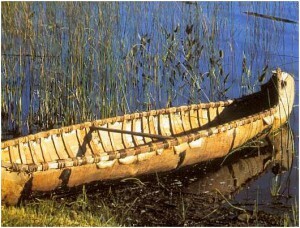 The chief form of transportation for the Wendat was the birch bark canoe. This enabled them to travel as far as Hudson Bay, Lake Winnipeg, the Gulf of St. Lawrence, and into what is now the north-eastern United States. As a result of their ability to move across great distances, the Wendat were able to trade goods with other Indigenous peoples. When Iroquois raids on Central Ontario began to wane, various groups of Ojibwa began to move into Southern Ontario and finally, by the 1750s, they had forced the Iroquois out of the peninsula between Lakes Huron and Erie. There is no definite record of Ojibwa living in the park area although they may have used portions of the Penetang Peninsula during this time period. In 1798, Treaty No. 5, known as the Penetanguishene Purchase, was signed between the English and the local Ojibwa, ceding the area from Nottawasaga Bay to Penetanguishene (an area that includes the present park) to the King of Great Britain for the sum of “goods to the amount of one hundred and one pounds Quebec currency”. By this treaty, the northern part of the peninsula and the area around present-day Penetanguishene and Midland was sold to the British although the actual enactment of the treaty may not have occurred until the construction of the Naval and Military establishment at Penetanguishene in 1815. As the predominant Indigenous group in the province, the Ojibwa presence remains particularly strong in the North Simcoe area, given the location of the Beausoleil First Nation on nearby Christian Island (as well as Beckwith and Hope Islands). An Algonquian-speaking people, the Ojibwa refer to themselves as Annishnabe, meaning ‘the people’. For further information on the native occupation and cultural history of Awenda, visit the Wendat Trail that traverses Kettle’s Lake and download the Wendat Trail Guide!